Author Graham Allcott will be visiting the university on Wednesday 7 March to deliver ‘Get Things Done‘, a masterclass in productivity. 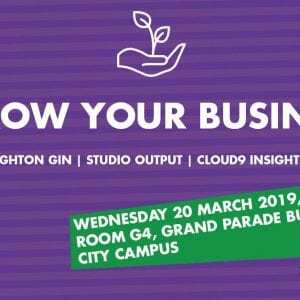 The workshop takes place 5.30 pm – 7.30 pm in Room G5, Mithras House, Moulsecoomb and is free to students, graduates and staff on the University of Brighton. Registration is essential. Even if you have vigorously implemented all Productivity Ninja tactics you learned in your recent Time Management Training, some of us tend to find it more difficult to stay focused. We’ve all had good intentions to get that “thing” done that’s given us that nagging feeling in the back of our minds, but put off doing it until the last minute. Fact is: some of us are more prone to procrastination than others, and we should acknowledge that this is just part of what makes us human. 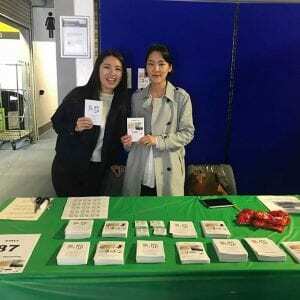 At the same time, there are many different tactics which will help you finish the essay, organize your lecture notes or simply finish revising, instead of pushing it into “tomorrow-land”. You see, the problem with procrastination is – the more you do it, the worse you get. Luckily, we’re sharing some of our favorite tactics to fight procrastination with you below. As helpful as technology and smartphones can be, they can also be a major distraction. That’s why “going dark” and switching off for a while is so helpful and important. The airplane mode on your phone, tablet and laptop can also be activated when you’re sitting at home or in the library. You’ll be amazed how much work you can get done without constantly being interrupted by notifications. You know you’re very likely to get distracted, so instead of beating yourself up about it, take an important step and allocate time for getting distracted. Committing to a segment of time to separate your time from work, can allow you to focus more when you are meant to. Take the Pomodoro Technique, where you’ll have a brief five-minute break every 25 minutes. You should also plan longer breaks every 90 to 120 minutes throughout the day to keep you fresh and alert. You can use those breaks for whatever you want, as long as you stick to the allocated time and don’t get lost in the dark corners of Youtube – yes, one cat video will be enough for your break. A blank page can be very intimidating. Whether that’s an exam, your essay or your dissertation, it often feels like starting is the hardest part of it all. So, don’t sit there staring at a blank page, but write something – start something. Anything! It doesn’t matter how good it is or whether you end up using it at all, sometimes having something to disagree with is the first step to knowing what you want to do. Have you ever put “write to do list” on top of your to do list, just so you could cross it off? There’s something very rewarding about ticking tasks off – no matter how big or small. Although you might love ticking tasks off, your items on your to do list might simply be too general or vague to get ticked off. That’s where microgoals can come in handy. For example, for a 2,000 word essay, your microgoal might be write 250 words a day. You’ll feel great hitting those 250 words a day and won’t be feeling bad about the 1,750 words you haven’t written. Keep your microgoals as specific and measurable as possible and give yourself enough time – there might be days where you won’t meet your 250 words goal and that’s OK.
A deadline is only a deadline if you’ll be dead if you don’t get over the line. If the person monitoring you to meet your deadline is you, then you’ll secretly know that if you don’t meet it, nothing will happen. It’s far better to create a deadline in someone else’s world. Having someone else depending on you delivering something at the right time, is the only way to make a deadline an effective tool. So whether that’s for essays and exams or starting your gym routine – tell other people about it to create accountability. As with everything productivity related, not every tactic works for everyone, that’s why there are plenty of options and variations when it comes to boosting your productivity and beating your procrastination. 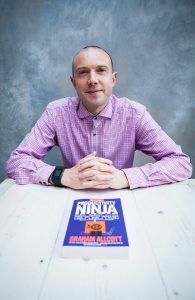 You’ll find plenty more Productivity Ninja tips and tricks on our blog and specifically for your study needs, we also recommend Graham Allcott’s book “How to be a Study Ninja”. Sine 2009, when we were founded by best-selling author Graham Allcott, our range of practical, human and straight to the point workshops have been transforming the productivity of leading companies and organizations around the world. « Escape the snow – Summer jobs in Ibiza!